If you fancy becoming an app reviewer for the day, then TechRadar has got a treat in store for you. This coming Monday (11 April), alongside T3, we are looking to recruit 25 technology experts to attend a private event at a swanky London hotel. 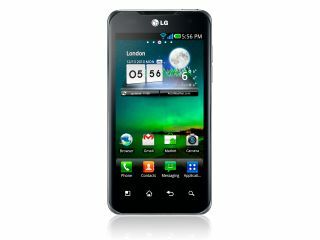 At the event we will be showing off the new LG Optimus 2X smartphone and demoing some of our favourite apps & games. As we know you love a challenge, we will be setting some phone-based challenges for those who attend and the lucky few who win will be then given an Optimus 2X to take home. They will also be asked to blog about the latest Apps in the style of the UK's best authority on the subject - the T3 App Chart. And that's not all: the top blogger will also be the proud owner of a LG 3D TV to show off all the lvoely 1080p content you capture on your stunning new dual-core phone. All we need for you is a short 30 word review on any App of your choice to be in with a chance of coming along to our fab day out and winning some top-notch prizes. Please note: you will have to be available between 4pm and 8pm on Monday 11 April and be able to make your way to central London.